Be the first to share your favorite memory, photo or story of Ina Alberta. This memorial page is dedicated for family, friends and future generations to celebrate the life of their loved one. Ina is survived by her husband of 58 years, Donald C. Johnson, whom she married February 11, 1961; three daughters, Ina Louise Bourlon (Jack) of Stillwater, Oklahoma, Barbara Johnson of Lexington, and Marlo Ann Smalley (David) of Louisville; nine grandchildren, Derick Ryan Melvin (Kaci), Robert Dewayne Melvin (Wendi), Cherysh Workman Hunt (Luke), Alexis Ratterman (Bryant), Kaitlyn Ratterman, Lily Smalley; Tammi Shaw, Ryan Bourlon (Angie) and Jacqueline Adams (Elvis); and numerous great grandchildren. Visitation will be from 4 p.m. to 7 p.m. on Friday, March 29, 2019, at New Hope Free Will Baptist Church, 2401 KY Route 581, Tutor Key, KY 41263. Additional visitation will be from 10 a.m. until 1 p.m. on Saturday, March 30, 2019, at Northcutt & Son Home for Funerals, 400 Fraley Drive, Morehead, KY 40351. A Celebration of Life will begin at 1 p.m. Saturday with Pastor Southie Fannin, Jr. officiating. Interment will follow at Forest Lawn Memorial Gardens in Morehead. To send flowers or a remembrance gift to the family of Ina Alberta Wagoner Johnson, please visit our Tribute Store. 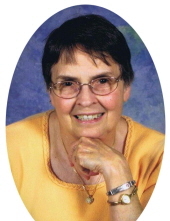 "Email Address" would like to share the life celebration of Ina Alberta Wagoner Johnson. Click on the "link" to go to share a favorite memory or leave a condolence message for the family.